Would you like to try out Kerio Control? 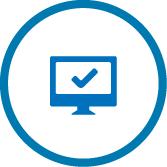 This topic provides a quick list of actions to help you get started with Kerio Control. 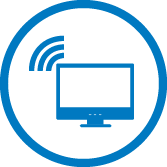 Kerio Control is available as a Software, Virtual, or Hardware appliance. The product features and functionality are nearly identical across all versions. If the Virtual or Software Appliances, make sure your hardware meets the system requirements. These appliances also require two Ethernet cards - one for the Internet interface and one or more cards for the local network (it depends on the topology of your network). To install the Software or Virtual Appliances, download the appropriate image files first. For more information refer to Installing Kerio Control. 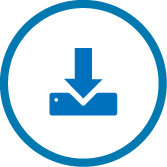 If you purchased Kerio Control Hardware Appliance, Kerio Control is already installed. Connect Ethernet cables to the Ethernet ports and run the Kerio Control Hardware Device. Read more: NG series or NG-Wifi series. 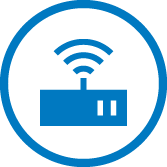 After installation, Kerio Control automatically detects your Internet and local interfaces. 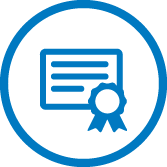 It is recommended to access the Kerio Control user interface using MyKerio, which is a cloud service that enables you to administer numerous Kerio Control appliances from a single dashboard. To do this, add your Kerio Control instance to MyKerio first. 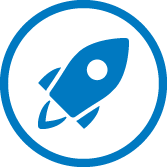 For more information refer to Adding Kerio Control to MyKerio. Alternatively you can access the administration console from a web browser using the IP addressAn identifier assigned to devices connected to a TCP/IP network. of the firewall. Note that the computer from where you want to manage Kerio Control must be in the same IP subnet as the firewall. When launching the administration interface the first time, run through the a configuration wizard to activate essential settings. For more information refer to Configuring the Activation Wizard. Network interfaces in Kerio Control provide routing between local networks and the Internet. Configure networking parameters and define your Internet connectivity before any other types of firewall configuration. For more information refer to Configuring network interfaces. 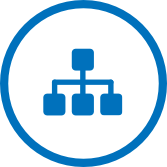 Kerio Control simplifies management of the network by acting as a Dynamic Host Configuration Protocol (DHCPDynamic Host Configuration Protocol - A protocol that automatically gives IP addresses and additional configuration to hosts in a network.) server. DHCP automatically assigns networking parameters to connected devices. For more information refer to DHCP server in Kerio Control. 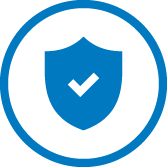 Specify the users to monitor and protect and configure users with permissions to manage the Kerio Control network. You can either create local user accounts or map the users from a directory service. 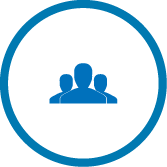 For more information refer to Managing user accounts in Kerio Control. Kerio Control enforces security through Intrusion Prevention, Traffic Rules, Content Rules and Kerio AntivirusAn integrated antivirus engine powered by Bitdefender.. These features are automatically configured to ensure that the firewall allows only legitimate network communications. Read more about Traffic rules, the Content Filter, Application awareness and Antivirus protection. You can use Virtual Private Networking (VPNVirtual private network - A network that enables users connect securely to a private network over the Internet.) to allow remote users or entire networks to access services inside the local network. Kerio Control implements IPsecInternet Protocol security - A network protocol used to encrypt and secure data sent over a network. for mobile device access and tunneling with third-party VPN gateways. You can also use the proprietary Kerio VPN implementation for remote access from desktop operating systems, and for tunneling to other Kerio Control firewalls. For more information refer to Kerio VPN tunnel, IPsec VPN and SSL certificates. 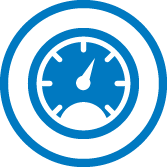 Kerio Control gives you control over how much bandwidth each type of network traffic can consume. You can administer one or more lines to the Internet and at the same time prioritize traffic based on a variety of conditions such as services, interfaces, users. For more information refer to Configuring bandwidth management. The Kerio Control Statistics feature records the activities of authenticated users to a local database on the firewall. 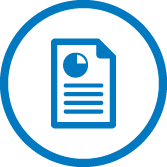 Privileged users can access statistics information on demand through a special web interface or by email.